Twenty-six horror directors collaborate to bring one huge horror anthology to life. 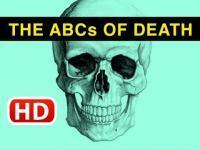 Each director creates a segment focusing on a letter from the alphabet having to do with death. This horror anthology promises to bring some stunning visual effects and gory scenes that are to die for.